Amazon.de is listing a book for release next year called A Knight of the Seven Kingdoms, by George R.R. Martin. This is almost certainly a new (working?) title for the first Dunk and Egg compilation volume, which will collect The Hedge Knight, The Sworn Sword and The Mystery Knight in one book. Originally the fourth story, The She-Wolves, was also part of the compilation but GRRM confirmed to fans at the recent ConQuest convention that he is holding it back until after The Winds of Winter is completed. This indicates either that the compilation will only include those three stories, or it will also be held back until after Winds and the date has not been updated on Amazon to reflect that. 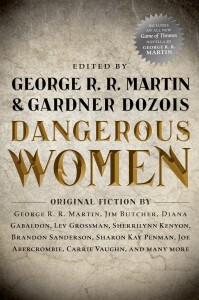 Meanwhile, She-Wolves' replacement story, The Princess and the Queen (a story set at the outbreak of the Dance of Dragons), will appear in Dangerous Women in December. In Germany, the first three Dunk & Egg stories will be published in one volume at the end of September. And in the Netherlands, the first two stories are available seperately in two chapbooks. Any news on the graphic novel adaptation of the mystery knight? The exclusivity period for the story has expired, so they should be able to do it. The only issue is whether Marvel - who own the rights - want to do it. I read a report from that convention in which George said he believed the first Dunk & Egg collection would be coming out in the Spring of 2014, so I'd say that's a safe bet. But we all know how unreliable Amazon can be with their release dates, so for all we know a rep read the same report and decided it was enough information to post that. He's holding back on any Dunk and Egg until TWoW is complete?!? I hope that means he's relatively nearer completion than he was with ADWD three years after Feast.